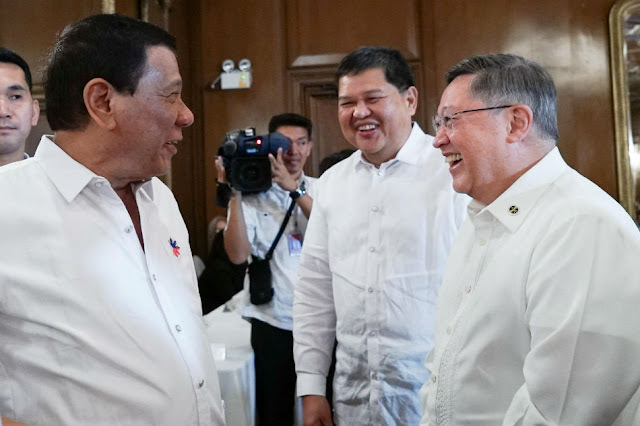 MANILA, May 8 (PNA) – President Rodrigo Duterte on Monday named Nestor Espenilla Jr. as the incoming Governor of the Bangko Sentral ng Pilipinas (BSP). The announcement was made by the President during the 15th Cabinet Meeting in Malacañang. Espenilla, who served as Deputy Governor of BSP for six years, will succeed current Governor Armando Tetangco whose 6-year term ends in early July. In a statement, Presidential Spokesperson Ernesto Abella said Espenilla’s appointment is highly welcomed by the market due to the latter’s deep and excellent monetary policy and banking regulatory experience. “His work has helped strengthen the country's banking system and placed it among the healthiest in ASEAN. One could say that Espenilla has served as co pilot of Gov. Tetangco as he helped the country navigate the different financial crises faced by the country and the region,” he said. “Having been with the BSP for 36 years, Espenilla has all the right tools and experience to take on the governorship post,” Abella said. As Deputy Governor, Espenilla heads the Supervision and Examination sector of BSP, which oversees the supervision of banks and other non-bank financial institutions under the jurisdiction of the BSP. He serves concurrently in various BSP high-level policy committees including Advisory Committee on Monetary Policy; Financial Stability Committee; Inclusive Finance Steering Committee; and Payment and Settlements Steering Committee.